On a wet early winter afternoon, as the Christmas shoppers were turning their collars up in defiance of the elements, Old Eldon Square could hardly have felt less Italian. And yet, down just a few steps, and with one greedy forkful of pasta, I was whisked straight off to Bari, deep in the warmth of Italy’s heel. 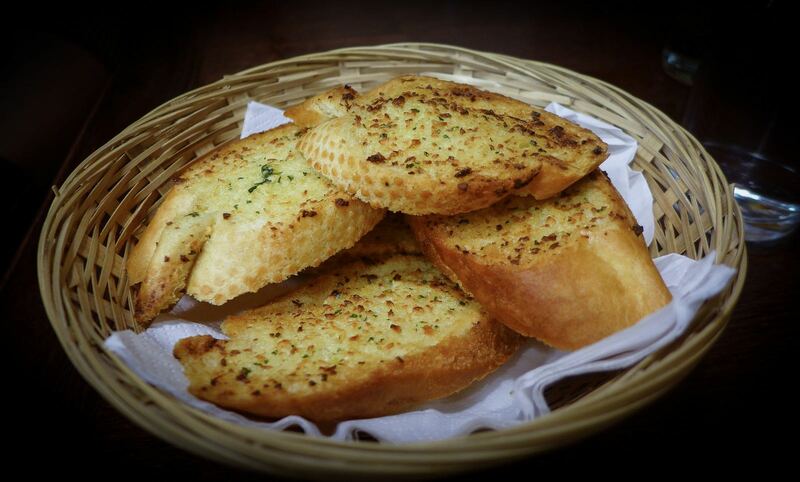 Such is the magic of good food. 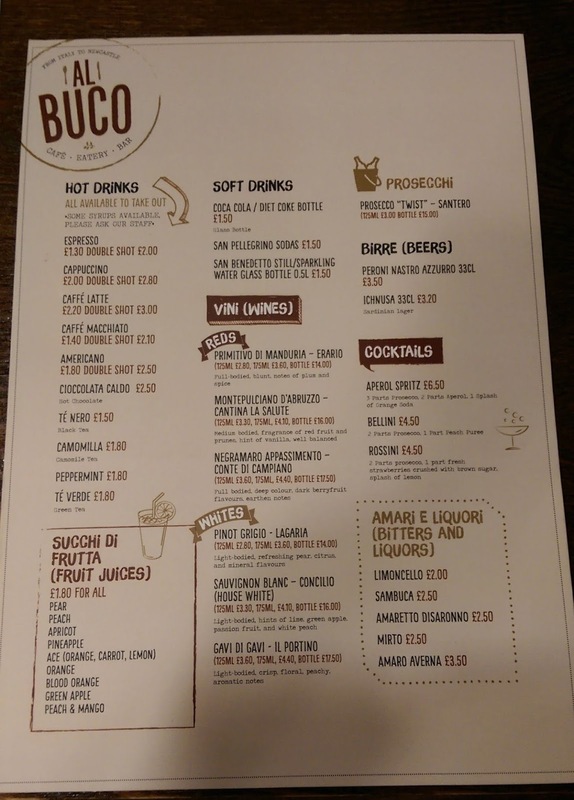 Al Buco opened earlier this year, and comes with an intriguingly multi-cultural backstory. 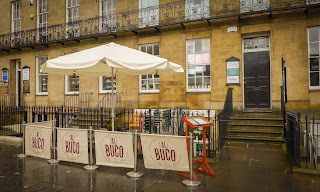 The owner, previously a student in Newcastle, was looking for something to do outside of work, and so set up this café with his Italian father. His mother, who hails from Chiang Mai in Northern Thailand, is on cooking duty. I envy anyone growing up with Thai and Italian food cultures to draw from. My pasta dish was one of those deceptively simple but completely delicious efforts you only ever seem to get in the old country. 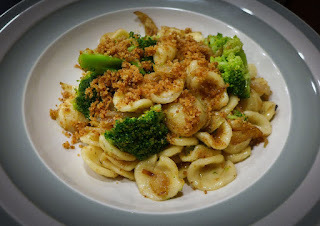 Orecchiette – little ears to you and me – were tossed with just enough anchovies to season them, broccoli to give the dish some freshness, a little oil and then topped with crisp breadcrumbs. That’s it. The pasta itself, being of the rustic type that you can cook really al dente without endangering anyone’s fillings, was the star. I love Puglian food because of this simplicity (the signature orecchiette dish uses turnip tops, rather than broccoli). 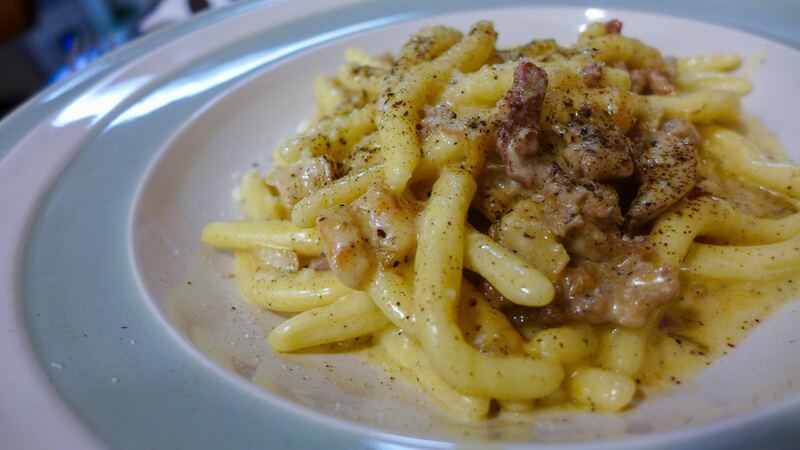 Cucina povera, they call it: seasonal, unassuming ingredients, full of honesty and flavour. In Bari itself and further south in Lecce, I’ve enjoyed epic meals in restaurants that aren’t marked and have no menu. You just knock on the front door of what appears to be someone’s home, and they invite you in for whatever they’re cooking that day. 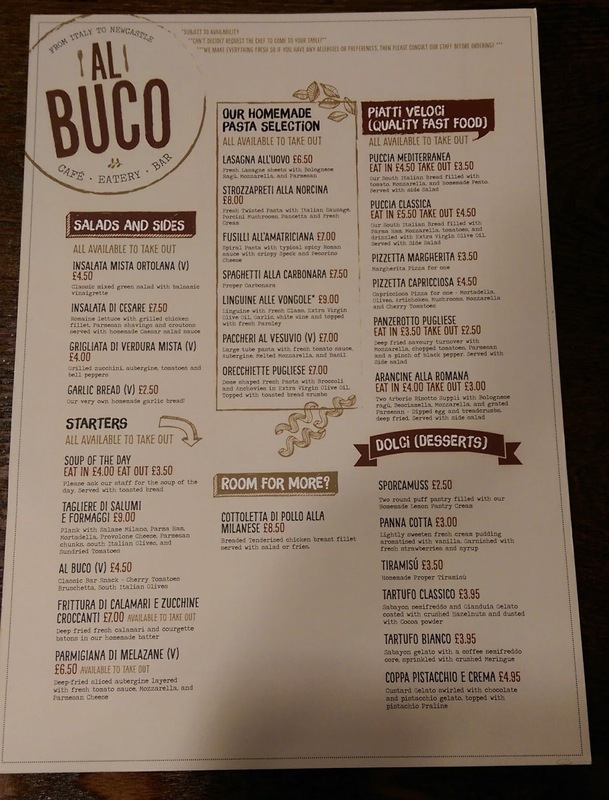 Here at Al Buco, it’s unpretentious too – definitely a family affair, and the best cooking is the simplest. Panzerotto is probably the closest thing Italy has to a Greggs pasty, on which basis I can see Al Buco selling plenty of these. 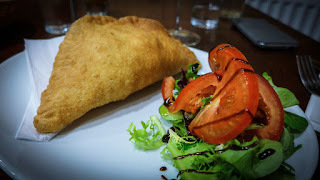 The deep fried dough shell was crisp and chewy all at once, giving way to a steamy filling of oozy mozzarella and a straightforward but tasty tomato sauce. Yours, with a bit of side salad, for just £3.50. They know what they’re doing with a deep fryer, too. Battered squid and courgettes wore their coating so lightly as to put to shame much of the dross you see masquerading as “tempura”. The squid was firm but tender, and came complete with tentacles, which is always a good sign. 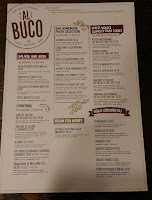 Although the focus of the menu is on dishes and ingredients from Puglia, it stops elsewhere when it feels like it. 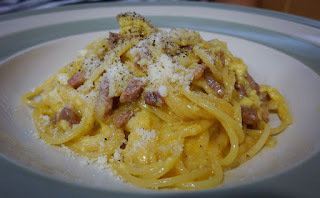 On another visit, we tried other pasta dishes and found ourselves in Rome for a “proper” carbonara, before a trip up to Umbria for strozzapreti alla Norcina, a dish of twisty pasta with Italian sausage and lovely earthy porcini. Neither of these could be said to be lacking in flavour, but we found both to be a little too rich with egg and dairy respectively, and overly salty. Given my Maldon-scarified palate, that’s saying something. And to be picky, which I am, the egg had been added to the carbonara while it was too hot, resulting in scrambled curds rather than a perfectly smooth sauce. 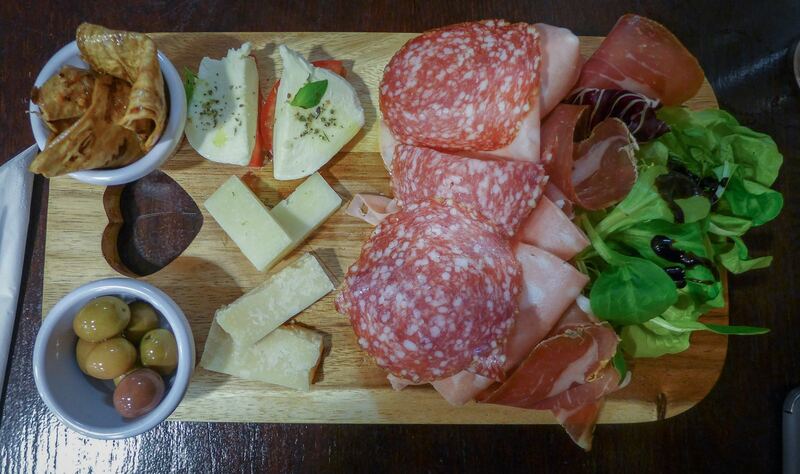 A board of cured meats and cheese sported some pleasant, rather than knockout, specimens. I tend to judge Italian cured meats on their levels of funk, fruitiness and length of flavour. The salame Milano, Parma ham and pistachio-flecked mortadella were a not-quite-triumphant triumvirate. I’d also question serving almost-hard provolone alongside definitely-hard parmesan. Some ripe dolcelatte or fontina might have shaken things up a bit. All the staff we encountered over both visits to this plain but tasteful room were absolutely lovely, making us, and everyone else who stopped by, completely at home. On one occasion we were lent a phone charger to avoid a flat-battery disaster, while on another a discussion about olives led to a sampling of all the ones they sell there. Which are, by the way, burstingly delicious. Drinks were mostly good too. From a list of just three reds, the Negroamaro was a bit of a stunner. It is made using the appassimento technique more well known in wines such as Amarone, whereby the grapes are partially dried before being relieved of their juice. This results in a concentrated, almost Port-like character, which went fabulously with our strongly flavoured pasta dishes. They also carry an Italian brand of syrupy fruit juices. As this place is essentially a café, I have to speak about their coffee, but here the news is disappointing. 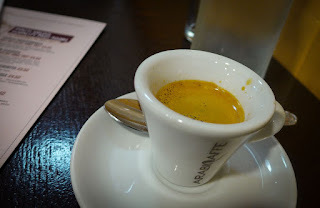 My espresso wasn’t terrible, but was a little thin and bitter, having not been properly extracted. Pink Lane Coffee and Vicolo at Tyneside Cinema will be retaining my coffee custom. I had been keen to try their tiramisù, just to see if it got anywhere close to the one I bought from Pompi, near the Spanish Steps in Rome, and which I have been boring friends about ever since. Alas, they were fresh out. We consoled ourselves with a pair of sporcamuss, a Puglian treat of puff pastry and crema pasticciera, flavoured here with lemon. 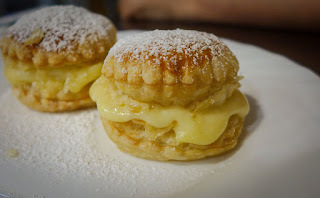 The pastry and cream on these weren’t quite as decadent as I’ve had in Bari, but it’s very nice to see them in Newcastle. Al Buco is a pleasant, reasonably priced café - plates of pasta are £7-9, while starters are around £4. It serves some tasty pasta, and a few dishes you’re unlikely to see elsewhere, which makes it worth a try, and certainly much more interesting than the plethora of chain restaurants opening up in the shopping malls next door. I had harboured hopes it might be a little more than that, that this would be a real find, but there were, and are, a couple of niggles. One is that the menu says their pasta is homemade. It may have been, but, according to our waiter, not on these premises. This rhetorical sleight of hand always feels just a touch disingenuous. The other issues were in the finer details of the cooking. However, I don’t want to be accused of putting the heel of the Puglian boot into what is at heart a rather charming family business. When summer swings around again, if it ever does, the tables outside will be a cracking spot to enjoy an aperitivo or a glass of red. Until then, whenever I crave the flavours of the warmer climes of Italy, this will do nicely.